The majority of individuals who become interested in trading and want to one day become profitable traders, often spend only a couple of minutes online before coming across phrases such as “know yourself” and “keep losses to a bare minimum”. 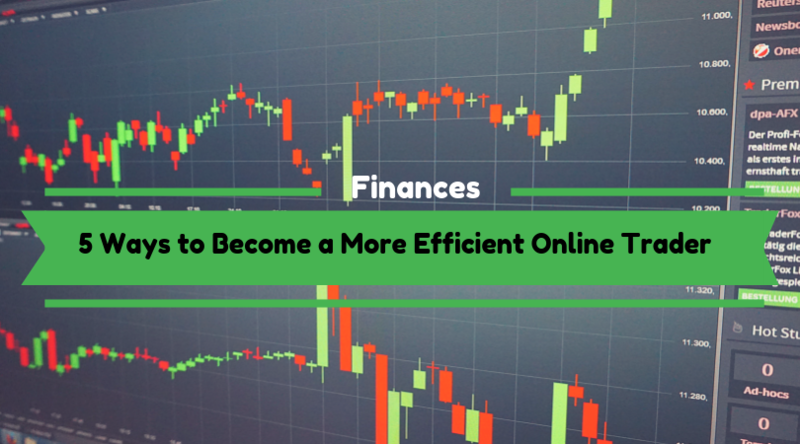 For novice traders, most of which simply want to learn how to set up charts properly and start making money as soon as possible, these morsels of information tend to sound more like a distraction than a real, actionable advice. Becoming a successful trader is less of a gamble and more of a hard science, which involves adhering to a specific set of trading rules and regulations that have guided multiple generations and different types of traders and a variety of account sizes. Although each rule and regulation is equally important, only when they are combined into a coherent set can they truly show their effectiveness and making a trade while following some of the rules below is a sure-proof way to increase your odds of making your trade lucrative and successful. Making a realistic plan and sticking to it This might sound as one of those general phrases we previously mentioned, but in truth, a trading plan includes a number of written rules and exit strategies that clearly specify a trader’s entry and exit strategies, as well as various money management measures. Back in the day, the only way traders could test their idea was to make a trade out of it and hope their estimate was correct. Today’s technology, however, allows traders to test out their trading ideas instead of risking their hard-earned money. Backtesting refers to the practice of taking various historical data and applying new trading ideas in order to determine whether a specific trading plan is practical and to determine its logic expectancy. Only if the plan has been sufficiently developed and if backtesting is showing promising results can the plan be used in actual trading. What most novice traders fail to realize is that their plan should be set in stone, so to speak. Any deviation from it, profitable trades included, is considered to be a poor trading practice that could potentially destroy any shred of reasonable expectancy their plan might have once had. Always rely on stop loss A stop-loss is nothing more than a predetermined level of risk a trader is comfortable with accepting during each and every trade. Whether your particular stop loss will be defined in dollars or percentages is completely up to you and your individual style of trading. What’s more important is that stop-loss fulfills its purpose of limiting your exposure during any given trade. Some traders argue that that rules such as stop-loss take away the emotion and thrill usually associated with trading because you already know the exact amount you face to lose during a trade. Ignoring an already set stop loss is simply bad trading, even it results in a winning trade. Any situations that fall under the rules of your trading plan is a good trade, which includes exiting using a stop loss and potentially losing a specific trade. Every trader would love nothing more than to exit a trade with a sizable profit, but this is simply not realistic. Protective stops, on the other hand, make much more sense because they decrease the amount of risk and place a hard limit on your losses. Setting up a trailing stop A trailing stop, unlike stop loss, allows traders a continual protection of their capital even if the price drops. Once the price starts increasing, the trailing feature will become active and eventually protect the profit, all the while reducing any potential risk to the capital. Just like a stop loss, the trailing stop’s value can also be tied to dollars or percentages, usually fixed around 35 cents spread or 5%. Nevertheless, the high of the day will always be followed by the trailing stop by the amount you have previously defined. What’s more important is that once it’s set into action, a trailing stop is not going to fall back, which means it will be triggered the moment price drops below its value. Choosing the appropriate trade strategy Stop loss and trailing stop are two of the most crucial techniques in trading, no matter how massive your trading volume is, but for them to actually work, they must be included as a part of a large trading strategy. There are various tried and true methods, including trend, momentum and swing trading that will help you determine your options based on the current market. However, strategies involving these types of techniques and methods often don’t get utilized properly, as people often give up too soon or waste too much time customizing their plan. In fact, smart traders usually wait for at least a year for these types of strategies to become truly effective. Some strategies include investing funds into other investors instead of the usual, market-based instruments and developing a people-based investment portfolio, something that wouldn’t be thought possible if it weren’t for the fast growing social trading platforms. Going a step further is the newly developed technological strategy of crowd trading, which applies the idea of group intelligence to trading online. Using technology to benefit your trade Trading is considered to be one of the most competitive businesses, so it’s only natural for traders to rely on various technological advancements in order to gain a competitive advantage. Dedicated trading software is used for order entry, with some offering advanced and fully customizable interfaces. Charting platforms provide a wide variety of different methods traders can use to analyze and view markets. There are numerous websites that allow users to watch market updates in real time and smartphone apps that send notifications with user-specific market updates no matter where you are. As long as you keep your risks to a bare minimum and only trading what you’re fine with losing, determination and persistence will be your greatest advantages. The above-mentioned methods and techniques might sound a bit complicated at first, but they are certain to improve your trading skills and help you minimize your margin of error during trading. Trading is work, not a gamble, which is why disciplined and patient traders are the ones who will benefit from these rules the most and use them to increase their chance of success in one of the most competitive industries.